A new iPhone app has been launched that allows users to transform their mundane text messages into video mashups. Swaat - short for "Say Whaat?" - combines clips from people in fancy dress, zombies, movie characters and celebrity impersonators to create unique videos that can be posted on social media or sent as messages. Users can type any message, quote, phrase or meme into the free-to-download app and it is instantly brought to life as a short video. If they need some inspiration, they can press the 'Message Ideas' button to access suggestions from the Swaat database. Swaat is the brainchild of London-based digital entrepreneur, Matt Scott, who came up with the concept in late 2014. He said: "We're on a mission to make messaging awesome. Apps like Snapchat have created a trend, but with Swaat we're taking it to the next level. After all, who doesn't want some random guy dressed as Batman telling their mate they look like a tool." Once their video mashup is created, users can remix the clip to get different characters in their video, and then share it via Facebook, WhatsApp and Instagram or save it to the camera roll. Soon, users will also be able to upload their own clips to the app, with one condition - they must be in fancy dress or in character for the clips to be approved for inclusion in the Swaat library. The site and app - currently available for iOS - works by converting users' phrases into video compilations from Swaat's 15,000 word database, which is growing by the day. 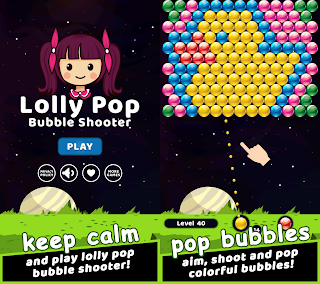 An Android version is expected to launch in the next few weeks. Matt, who is also Operations Director of video production company City House Media, added: "Approximately nine percent of all online messaging is video-based - Think GIFs, Snapchat Videos, etc - and with the continued rollout of 4G and, eventually, 5G, this only going to increase. To find out more about Swaat you can visit swaat.co, download from the App Store or follow the Swaat team on Facebook (/SwaatApp) or Twitter (@SwaatApp). Swaat! - derived from 'Say Whaat?!' - is a video messaging app that doesn't require the user to use their own video content. 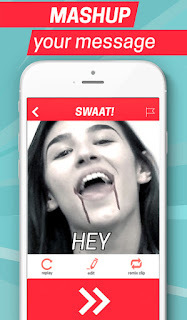 Swaat lets you design and share random, funny and exciting videos with friends; share and send them to friends via Facebook, Instagram, Whatsapp, Messenger; or save the video to your camera roll to share later. Find out more about the app at swaat.co, or follow them @SwaatApp on Twitter, facebook.com/SwaatApp, or SwaatApp on Instagram. 0 comments on "Swaat, New iPhone Messaging App lets users make, send and share video mashup messages"